This AC Inductor is one of a family of parts designed for airport ground support test equipment. 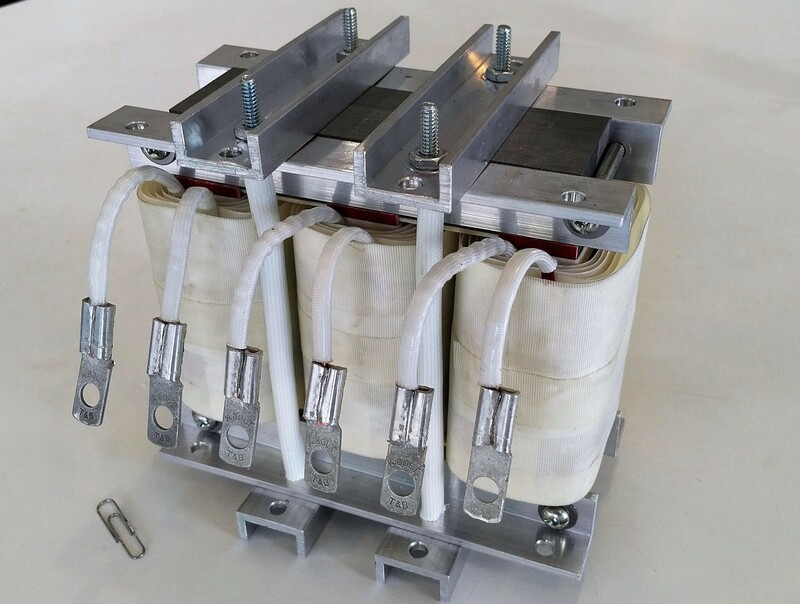 Used on a 400Hz, 208V line-line power system (120V line-neutral), this reactor is constructed using 10AWG rectangular magnet wire assembled on a specialty M2 electrical grade shunt steel core and non-magnetic aluminum brackets. Class H (180C) insulation system.